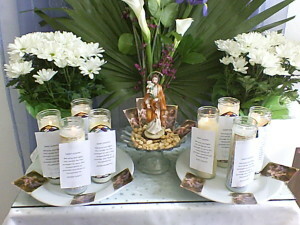 What a truly BEAUTIFUL altar you set up here Jacqueline for St. Joseph’s Feast Day! It is lovely. It is a gorgeous altar! Thank you for setting it up.